We recently wrapped up a custom fashion design portfolio book that demands attention. This 11 x 14 red acrylic screwpost portfolio is fierce and we love it! 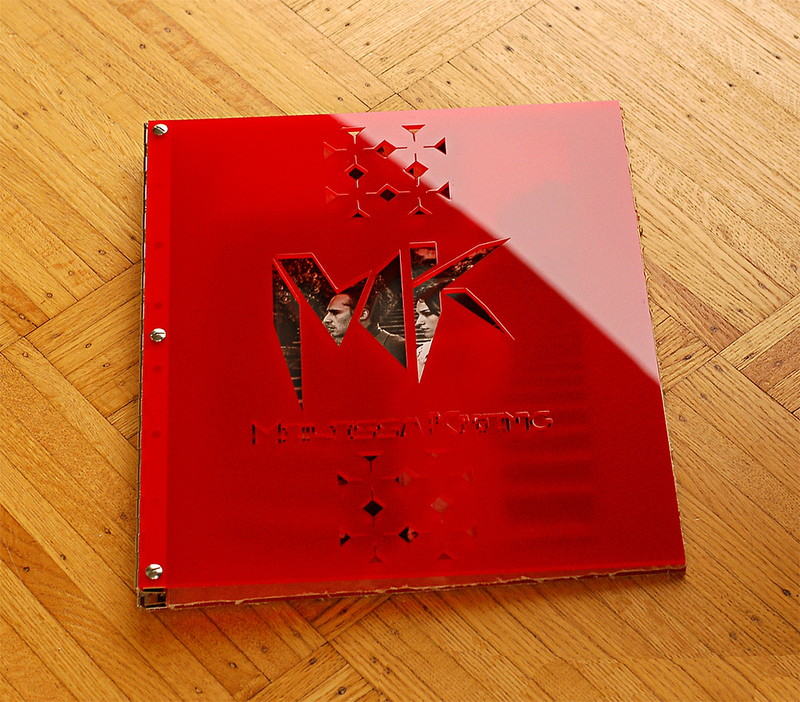 It includes the designer’s logo and name cut-out on the cover, revealing the first page of her portfolio. If you’re looking for a portfolio cover that will stand out from the rest, the cut-out is a great option. It’s unexpected and adds even more dimensionality to your work since it peeks out from below.